If a person is not concentrating on being holy and being able to stand in the midst of evil and be peaceful, one is missing the graces God is pouring out at this time. This is exactly what God is teaching me in this Dark Night. No comforts, no consolations, no answers to prayers, no pats on the back, no daily perception of love. One must be detached from injuries, slights, even hatred, even or especially from family members. The saints did not mind being surrounded by people who hated them, as we see in their writings. How did they get to this point? Boot Camp. Ranger School for some. Perfection comes at a price and that price is real suffering and purification. He is getting us ready for tribulation. What happens in persecution? You will be surrounded by people who will hate you, and want to make you miserable. This causes sorrow, but only for the person who has not put the nail in the predominant faults of vainglory, pride, presumption. sloth, gluttony, anger, and so on. When one is made holy, one is no longer upset about people treating one badly. One rejoices. When one can honestly be peaceful in Christ amidst hatred and negativity, one has conquered certain predominant faults. Learning to live amidst hatred demands all the virtues. The life of virtues demands prayer, fasting, mortification. One must be doing extra mortification now. 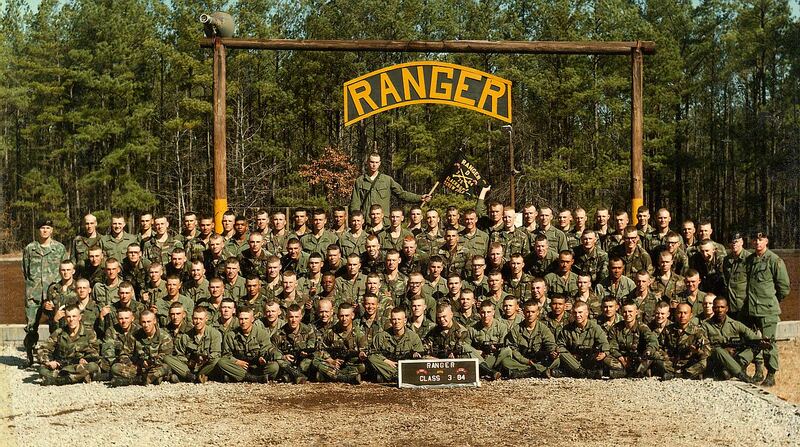 This is BOOT CAMP, and for many, this is Ranger School. If you make it through God's Ranger School, you will be purified. I think the big sin behind the misunderstandings about spiritual warfare is the lack of humility. If one is not humble, if one is not pursuing holiness hourly in some way, even with small prayers, one will fall into sins of curiosity and pride, thinking one can deal with things which may not even be our business. Because of the prevalence of the occult, more and more people are being possessed. One can listen to Fr. Ripperger on this. As we are all sinners, as we have defects and imperfections, satan will use anything against us, including past sins. Humility is the needed virtue for all growth and for all spiritual warfare. If you only have time for one talk, I recommend this one. And, if you are being stubborn and still do not see the evil in Harry Potter, listen to 1.08.36 on or so. Do you want the real deal on spiritual warfare? Either pay the fee on the website here or say one decade of the rosary for each talk. If one suspects demonic influence in one's life, one should not go to these spurious healing Masses where people who are not even necessarily in sanctifying grace, because they are not living orthodox Catholic lives, touch and pray over people. I have written about this before and need to again. First of all, years ago, I went to one meeting with a so-called healing team, and some of the women at the table believed in women priests and contraception. I was asked to give a talk by the diocesan exorcist, and only succeeded in making all but three people on the fourteen person team angry. What was my subject? Personal perfection, personal holiness and purgation....few wanted to face their own conversion and unorthodoxy. Problem two, only those who are free of evil themselves and are fasting, seriously, and trained in the now regular conferences under such priests as Fr. Chad Ripperger, and whose authority comes directly from a bishop should be on teams. In other words, all other teams are not under the authority of the Church. There is no such thing as carte blanche permission for healing teams. Most people have not been trained by exorcists and most meetings are not under authority. Problem four, one cannot deal with oppression and obsessions, without a trained priest spiritual director and even a trained Catholic, Thomistic counselor. There are too many untrained, unprofessional people who are counseling and praying over people and this is scary. They actually do more harm than good, and if they are charging money for their services of "healing", they are not on the "right side". One should pay, of course, for a professional psychologist or psychiatrist but not some unprofessional self-proclaimed healer. This scenario is a huge scandal in both Ireland and England, where some "counselors" have training in New Age techniques and are not under any authority of the bishop. Problem five, possessions need a Catholic priest exorcist, period. Problem six, one can deliver one's self from obsessions and oppressions but ONLY under a spiritual director, possibly a professional counselor as well, and with frequent Mass and weekly Adoration. To pretend one can do what can take years at a one shot healing prayer meeting is beyond words "daft". Imagine putting the health of your body under those who were quacks. Your soul is much more important. I have written before that the charismatic renewal has done great damage in the Church pushing for home-made, protestant-based methods of healing, deliverance, exorcism. Do not believe much of what you read on the Net. We have an expert on this whose talks are regularly available. If you are experiencing demonic influence, first, phone the diocese and talk to the exorcist. Second, follow his advice, as you most likely do not need exorcism. Three, follow his advice but if he has none, ask if he would mind you joining the Auxilium Christianorum..
You may want to consider getting a spiritual director who is a priest first. Most people do not need exorcisms. Lastly, the Catholic Church has always had rules and levels of authority for spiritual warfare. If a person steps out of that authority and those rules, one is open to more demonic influence, not less. These couples are all so lovely and you can tell by the way the grooms walk in with their mums which ones will be great husbands! I know three people who have been blessed with visions of the Triumph of the Cross. One saw Jesus come half-way off the Cross and hug her. One saw herself nailing Christ to the Cross and was led to compunction. 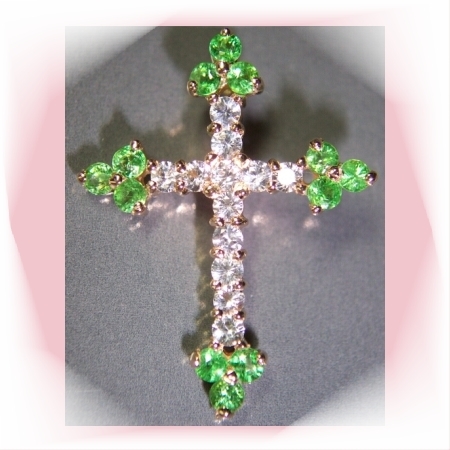 One saw the Cross in gold coming to her land, where she lived, and spreading light over that land. Today, we remember that Christ triumphed over sin and death by His Crucifixion and Death. This little comment is part of one on another site I made earlier. Today, in the back of church, I saw a great idea for a parish project. 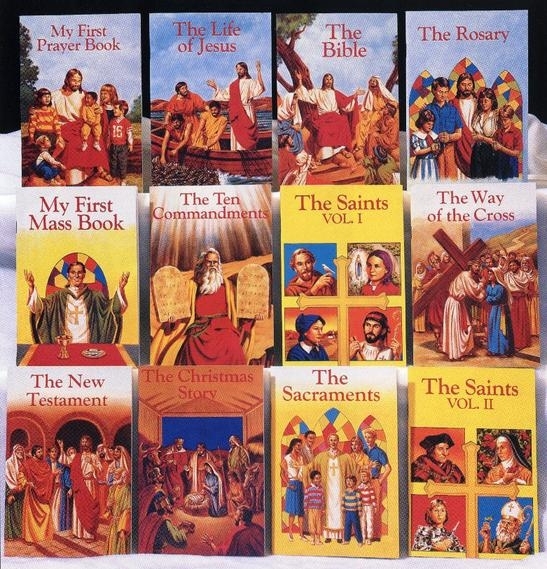 I saw an attractive basket, with a sign which notes, "Parents borrow these, please", filled with dozens of large freezer baggies stuffed with Bible stories, Catholic books of saints, and children's explanations of the Mass. Some are aimed at ages 2-5 and some a bit older. What a great idea! 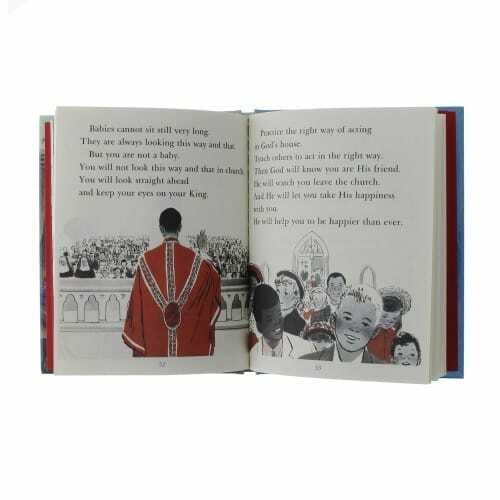 Children can look at the picture books or read the texts, learning about their faith and parents do not even have to remember to bring the books. Moms could even sew attractive Book baggies out of cloth as well. Why not set this up as a parish project? Make sure the books are Catholic, btw. I am fast coming to the conclusion that some of the deprivation two generations, at least, experienced, concerning real Catholic education may not be able to be undone. I have been in contact with a friend in her thirties who went to an excellent school run by an order. Her intellect was formed early on, in high school, and now that she has had a real conversion to Catholicism, all her high school classes make sense and all her knowledge is falling into place. She had a rare experience of being taught by one of the last orders to present real Catholic education. However, the vast majority of her Catholic peers got "wiggly worm" Catholicism. She is quite alone in her age group and tends to be friends with people older than she is, because she has more in common with them. Recently, she told me that most of her peers are caught up in cynicism and have no interest in religion at. She comes from solid middle class background, but most of the people she knows her own age live like pagans. She feels isolated. The lack of real Catholic teaching since the 1970s may not be able to be made up now, as only a few respond to the call to study, to read, to learn their Faith. But, her loneliness, the fact that she cannot discuss her Faith with anyone, led her to the blog. How many young people endure this type of isolation? How can I tell there where to go, where to live and get jobs in places where there is Catholic community based on orthodoxy? America is a big place, and the rot set in on both coasts, moving inland to the Midwest and the South, until no place is free from heresy. Modernism has poisoned the minds, consciences, bodies, souls of so many, the majority, in fact, of Catholics. 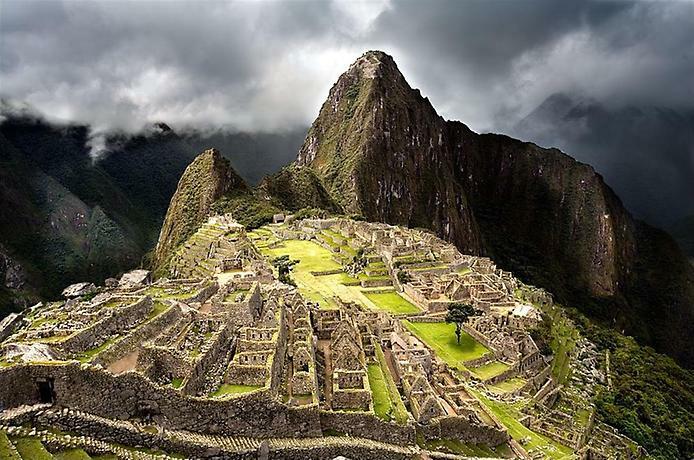 And where are the missionaries to bring those back who have gone astray? And do they want to come back? Without prayers, fasting, mortification on the part of us believers, many, many people will go to hell. The depth of the rot is now obvious. I do not convert on this blog, at least I do not bring first conversion to readers, as those people are the ones who do not read Catholic, orthodox blogs. Convert, my friends, those in your families, in your groupings. We do not have much time. One may use paypal for a donation to his order and his work. These could be incorporated into a high school home schooling curriculum. A conference given to Keep the Faith on certain aspects of the ancient liturgy. This conference was also published as an article in two parts in The Latin Mass Summer and Fall editions of 2001. It is online under the title of The Spirituality of the Ancient Rite of Mass: Part I and Part II. This article addresses the issue of how modern philosophical thought has influenced the the modern liturgical ritual. It was published in Christian Order in August of 2000. This article addresses the historical intellectual causes of the psychology of neo-conservatives. It was originally published in Christian Order in March of 2001. A shorter version of this article appeared in the Spring 2001 edition of The Latin Mass Magazine under the title Conservative vs. Traditional Catholicism: Distinctions with Philosophical Differences. This is an examination of conscience which contains specific sins pertaining to the 6th and 9th commandments. This is an examination of conscience which does not contain specific sins against the 6th and 9th commandments and may be suitable for use with those under 14. This article addresses the issue of the non-ordination of women to the deaconnessate. Addresses the question whether one has a moral obligation to send one’s child to a Catholic school as well as discusses certain aspects of the natural law regarding children. This article addresses certain issues pertaining to fetal tissue research. This may be a good article to pass out in areas where legislation is being discussed or in institutions where the issue has arisen. This article addresses how various views of man affect one’s approach toward pastoral theology. Discusses the impact of Christian art on culture. This article discusses the relationship between parental roles and leadership within the family. An analysis of the genesis of the complex and why it is unfounded. Summer 2006 (Vol. XXXI, no. 2) edition of Faith and Reason (Christendom Press). This article addresses the necessity to have Faith in order to scientifically interpret Scripture. This was a conference given at a priest study day in the Diocese of Lincoln on the necessity of a sound philosophical formation prior to seminarians studying theology. Topics include Our Lady’s most intimate relationship to the Blessed Trinity, Our Lady’s Service to God and our devotion to the B.V.M. Topics include detachment, self-knowledge and charity. Say a rosary decade for each talk you hear...and, if you can, support this ministry by writing to Fr. Ripperger. The Nature of Man and the Natural Law – this conference discusses human nature, the natural law and natural inclinations. Basic Moral Principles – this conference provides basic moral principles necessary to make proper judgments about when an action is right or wrong. Bioethics – This conference applies the principles from conferences 1 and 2 to the areas of medical morals so that the viewer understands why the Church and orthodox moral theologians teach that certain kinds of actions are right or wrong in the area of life issues. There are 54 posts labelled "Catholic Men", but not all come up in search. Use the tags. I am making this "Man Day" on the blog. Also, look at the tags labelled peter pans, protectors and predators, or similar for more posts. As those who follow this blog know well, I have written on the three types of men in our present society. The protector, the predator and the peter pan male represent either maturity and goodness, evil, or stunted growth. Etheldredasplace: Where Are The Men of The West? Etheldredasplace: The Vendee-"A Catholic People"
What do Catholic women want in a Catholic man?